On January 28th, Brazilian workers will protest against the withdrawal of labor rights, pension rights and social security. After announced the re-election of Dilma Rousseff (PT) for the government of Brazil, on the 26th of October, 2014, several attacks against workers’ rights have already been realized, even with the election promise that this would not happen. 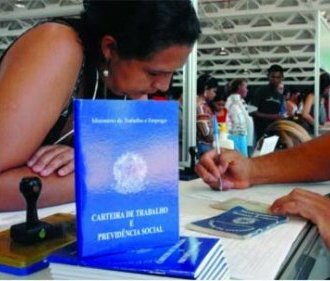 Dilma approved the Provisional Measures 664 and 665, which, in practice, mean a labor and social security mini-reform restricting access to labor rights such as unemployment insurance, pensions and disability insurance. In the case of unemployment insurance, the grace period to be entitle to this right changes from six months to one year and a half. That is, the grace period for the first request will triple. For the second request, the grace period would be of 12 months and for the third, of six months. According to official data, between January and November 2014, 6 out of 10 employees dismissed without just cause in the country had been working for the company for less than a year and a half. The salary bonus, called "PIS/PASEP"* will also be a target of restrictions : the grace period to ask for the benefit changed from one working month per year to six months of uninterrupted work. The amount of the bonus to be received can also be reduced. These measures will mainly affect the younger workers who join the labor market for the first time in precarious and temporary services in which the turnover is outrageously high. Dilma’s government is also attacking harshly the social security rights. In addition to creating a formula to reduce the amount of disability insurance (salary that the employee receives from the social security when they are ill and are not able to do their work), the government has opened the possibility for the companies themselves to be authorized to determine whether the worker is capable or not to receive this labor right. Before, this was an exclusive function of a government body. In the case of pension due to death, guaranteed to the spouse of the deceased worker, it will be demanded a grace period of two years of social security contribution of the insured person, as well as a minimum period of two years of marriage. The amount of the pension may be reduced to half and the benefit will no longer be a lifelong benefit for younger widows or widowers. The changes proposed by the PT (Workers Party) are even more outrageous having in view the way they were imposed : through "Provisional Measure". This is a mechanism of the Brazilian legislation that empowers the President to create a law effective immediately, without the participation of the legislative power which, then, only endorses its law or not. While attacking the workers’ rights, the government did not touch in the granting of exemptions to businessmen, which, in recent years, have not collected a 20% rate of payroll tax to the Social Security. In addition, Dilma has been imposing an aggressive rise in taxes and fuels and has already ordered the cut in social investments. The budget for the Ministry of Education, for example, will be reduced by about US$ 3 billion. Against the attacks on labor rights, high taxes, cutting in social investments and in defense of jobs, the Brazilian workers are going to take to the streets on the 28th of January. It will be the "National Day of Struggle for Employment and Labor Rights", summoned by all Brazilian trade union centrals, including the CSP-Conlutas. "The answer that workers need to give to this attack is a lot of mobilization. Hence we are going to build the National Day of Struggle to demand the withdrawal of the provisional measures and ensure our labor rights", said the Union Vice-President, Herbert Claros. *PIS/PASEP stands for the Social Integration Program (PIS) and for the Civil Service Asset Formation Program (PASEP), which are social contributions payable by companies. The PIS/PASEP is a registered number in the CNPJ card (Registration of Corporate Taxpayers) or in the worker’s registration document.